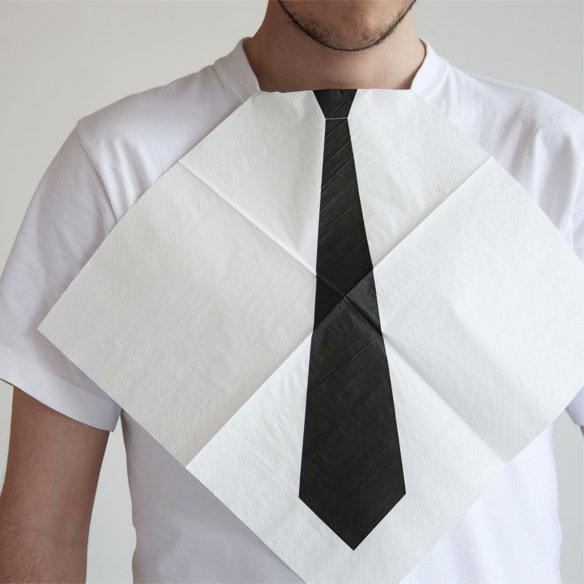 If you’re going to make a mess of yourself at dinner, at least do it with some style. 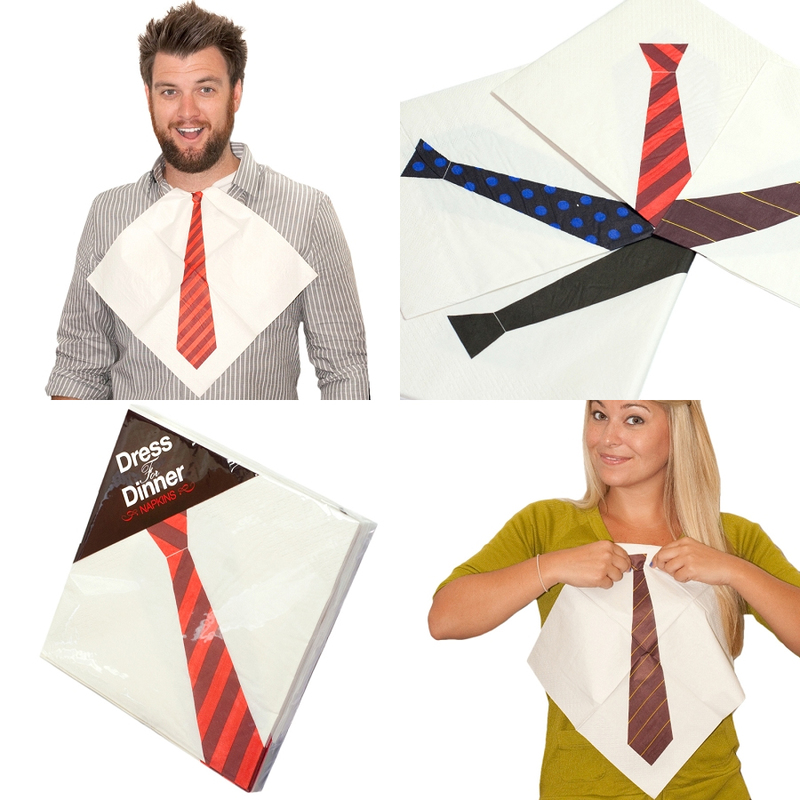 Necktie Napkins will bring some class to the table, or help keep the theme of a black tie affair going. And if black is a bit too formal, there’s a striped and polka dot version, for your more casual pig-outs.